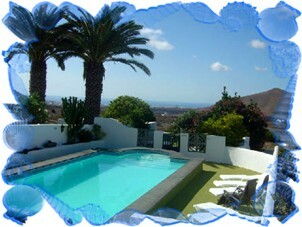 Welcome to the Lanzarote Villa Owners website. The primary purpose of this website is to present to you, the holdaymaker, with a relatively small selection of quality properties in Lanzarote, properties including apartments, villas (with and without private pools) and other unique properties including a beautifully restored 200 year Farmhouse. We believe quality is far more important than quantity and we believe that if our properties live up to your expectations and the service you get from us is excellent, you will return to us again and again. We can generally accomodate any group size, either in a large property or in 2 or 3 smaller ones close together, so please do not hesitate to contact us to discuss your specific requirements if you are unsure. At lanzvillaowners.com, our aim is to help you find your perfect home from home holiday by giving you access to a range of properties that are exactly as they are described on our website and to offer you various ways to pay for your holiday. Following feedback from you during 2008, we are pleased to announce that we are now accepting payment via Paypal. This is aimed at giving you further choice in payment methods, so should you wish to pay by credit/debit card, this can be arranged via our Paypal Email interface (ask John for details). If you want to pursue an enquiry, use the contact telephone numbers displayed above, the online enquiry form or just drop us an email. Behind every one of our Villas, you can view brief details and photos and using our 'click4brochure' link, you can view and/or print a two page brochure describing the Villa in detail. We hope you like our site and we welcome feedback to improve it. To do so, you can contact John the site administrator (and an owner in his own right) using any of the methods above, or Kevin, the site webmaster, who can be contacted via the link below this message.